On April 12, the California Assembly Water, Parks & Wildlife committee voted on legislation that will ban the breeding of captive orcas in California. AB 2305, the California Orca Protection Act, replaced AB 2140 and was introduced by Assemblyman Richard Bloom, D-Santa Monica. The committee voted twelve to one in support of the legislation which had been amended since it was first introduced to the committee in 2014. The new bill did not stipulate or recommend the removal of orcas currently held in captivity, to sea pens. Good morning Chairman Levine and Assemblymembers. My name is John Hargrove, and I am pleased to co-sponsor AB 2305. My fourteen-year career as a killer whale trainer was split between SeaWorld of California and Texas and a facility in the south of France, working with twenty different orcas. I am also speaking on behalf of fellow co-sponsors and former SeaWorld trainers Carol Ray and Sam Berg. We understand better than anyone why people want to see these animals up close. They are extraordinary. My childhood dream was fulfilled when I became an orca trainer. But ending captive orca breeding is something I have campaigned for since resigning from SeaWorld in August of 2012. 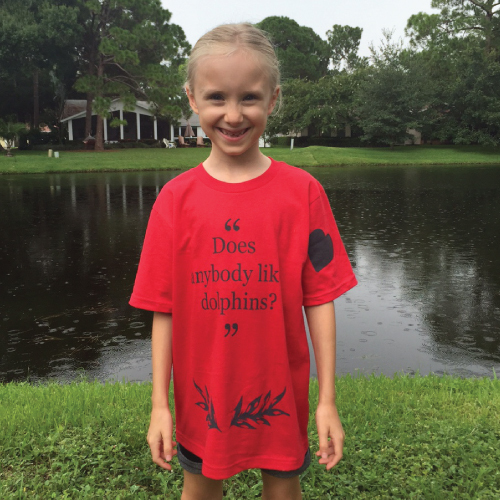 No matter how much we love these whales, our firsthand experience showed us they simply do not belong in captivity. 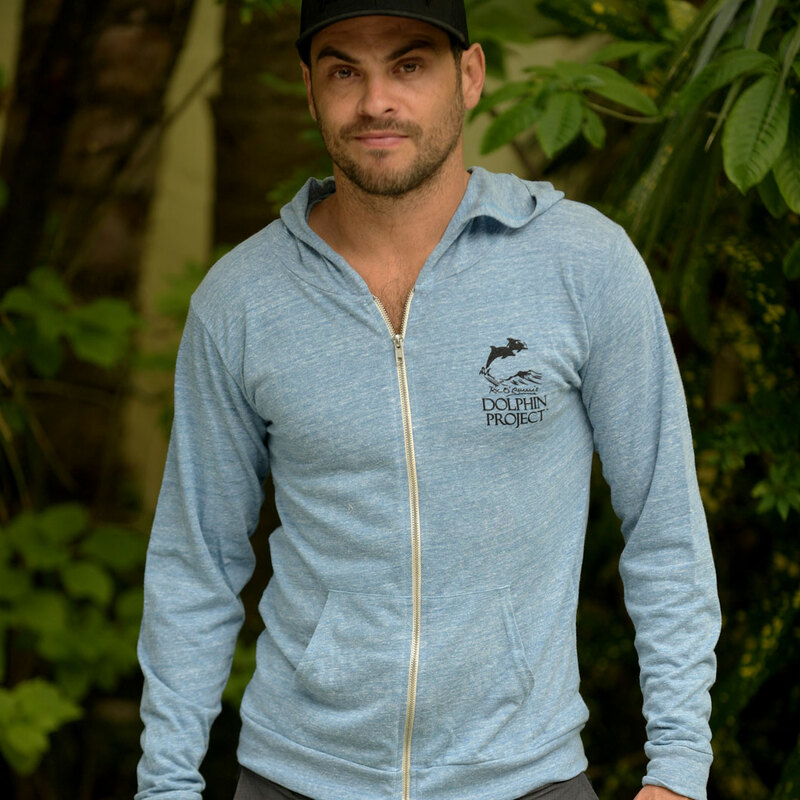 It has devastating health consequences for the whales and can be lethal for trainers. Of all SeaWorld’s parks, attendance dropped the most in San Diego — falling 17 percent in 2014. That’s the same percentage increase that SeaWorld’s stock jumped by the close of the market the day after Mr. Manby’s announcement last month. Doing the right thing has proven to make good business sense. Mr. Manby’s decision marks the first time that both parties have reached across the aisle to produce dialogue for meaningful change. These whales deserve it. Thank you, Assemblymember Bloom and Mr. Manby. Please vote yes on AB 2305 so we can align ourselves with other countries around the world who have already evolved on this issue. 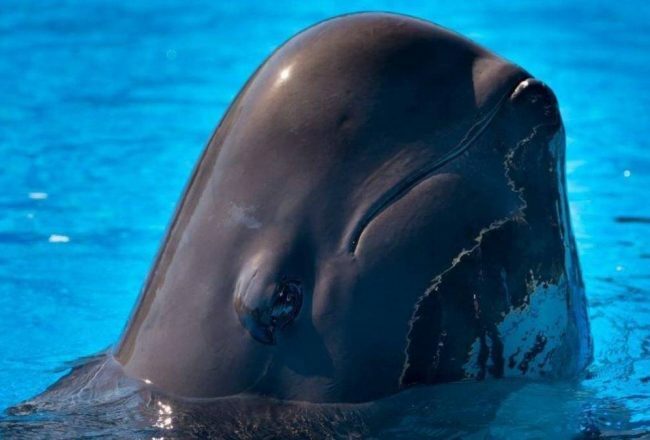 SeaWorld, who took a neutral stance on the bill presented before the committee, initially worked with Assemblymember Bloom on the language for the bill. This is truly historic legislation and a giant leap forward. It seems that Manby is ushering in a new era for SeaWorld that nobody prior to him was willing to do. While there are still areas that we have to fight for, Manby appears to be taking SeaWorld in a new direction that leaves me cautiously optimistic for the future. None of this, of course, would have been possible without the consistent and persistent hard work of so many people and groups. ‘Beneath the Surface’ published by Macmillan, was the final prong in a revelatory trident of information that rocked SeaWorld backwards. 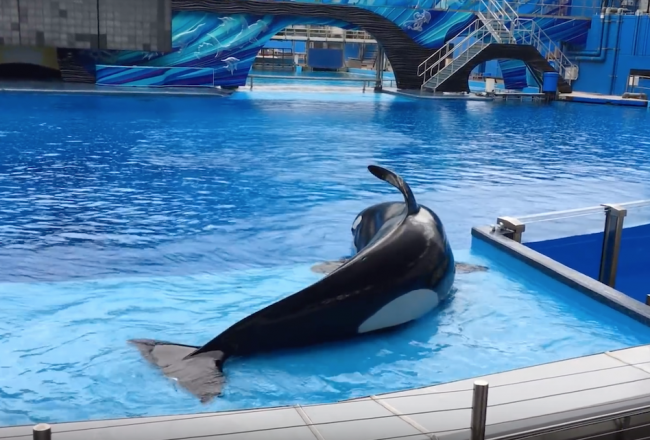 David Kirby’s ‘Death at SeaWorld’ offered the first glimpse behind the SeaWorld facade and Gabriela Cowperthwaite’s documentary, ‘Blackfish’, left audiences shocked and disgusted with its imagery. Hargrove’s book was timely published and well-received by the public. It soon hit the ‘New York Times’ bestseller list and was released this month as a mass market paperback. This dramatic change in society has taken place in spite of SeaWorld’s best efforts, not because of them. 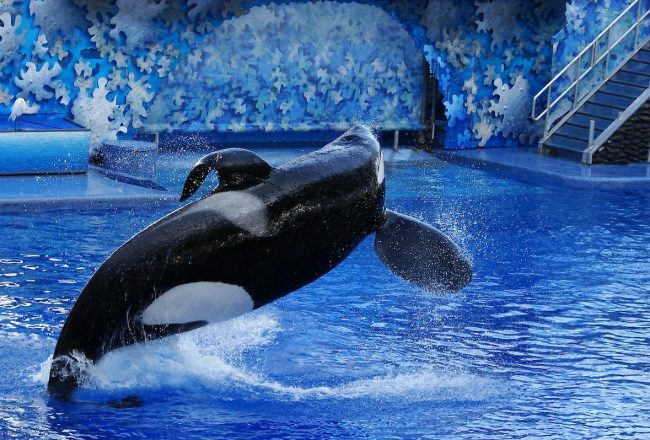 Ironically, despite SeaWorld’s insistence that it has been educating the public to the true nature of orcas, it is the other way around: The public has educated SeaWorld and the lesson was that these powerful animals should be free. Bill AB2305 will now be sent to the Rules Committee. 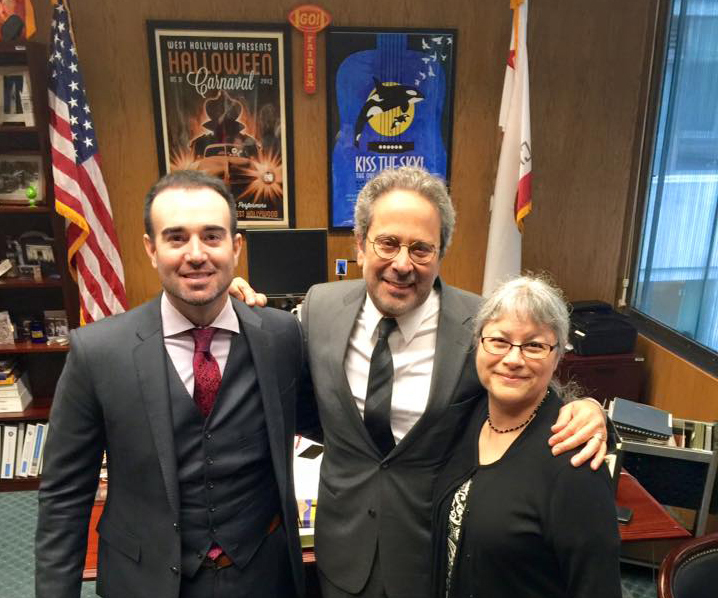 Featured Image: John Hargrove with Assemblyman Richard Bloom, D-Santa Monica, and Dr. Naomi Rose of the Animal Welfare Institute. Image: Jennifer Fearing.